I really enjoyed the first in this trilogy, partly because it's an ambitious novel told from a variety of viewpoints, partly due to a strong plot, and partly because it has that rarest of things - a love triangle where I actually liked all of the characters! 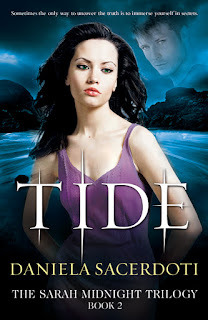 (Check out my review,and an interview with Daniela.) I've been looking forward to this one for a while and was thrilled to be invited to take part in the blog tour - check YA Contemporary on 20th February for a blog post from Dani on Sarah's books!